It's just been a bit since our delayed look at the set's creepy crawlies, but a short detour in our journey through the Jungle of Despair won't prevent me from at least trying to stay on schedule. This week we examine some of the fiends featured in the set: daemons and qlippoth! Hailing from the desolate plane of Abaddon, daemons serve the Four Horsemen in their efforts to claim as many mortal souls as possible. Like all Outer Planes, Abaddon's primary means of soul acquisition comes from worshipers of neutral evil deities who are judged and sent there upon their mortal demise. But daemons' hunger is rarely sated, and like most fiends, they are always looking for new, less scrupulous means of growing their numbers. The terrifying astradaemon, for example, traverses the River of Souls on the Astral Plane, like a shark, plucking unlucky victims from their rightful path to the afterlife. With a life-draining touch, astradaemons speed their living victims toward death, increasing the prevalence of their prey in the River of Souls. The astradaemon is a Large rare figure. Exhibiting cephalopod, crustacean, and humanoid features, the menacing venom daemon uses potent poison to bring low its enemies. Native to the swampy or fully aquatic regions of Abaddon, venom daemons target the strongest of their foes first, both as a tactical choice and for the emotional impact when foes see the greatest among them fall. The venom daemon is a Medium rare figure. Older even than deamonkind are the qlippoth of the Abyss, whose hatred for the myriad demons who now rule their home plane knows no bounds. Last week we looked at the spider-like thulgant qlippoth, but it's just one of the four qlippoths Jungle of Despair has to offer. 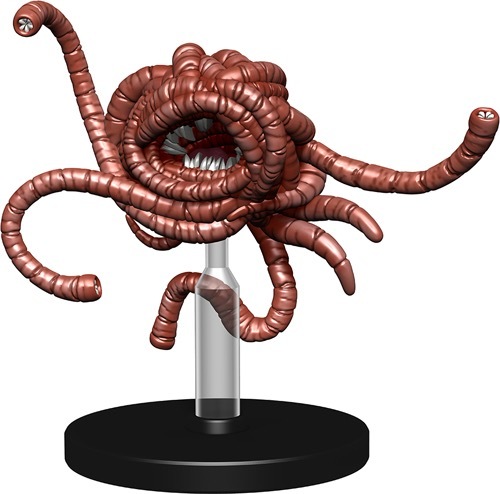 First this week is the ravenous qlippoth, whose body takes the form of a writhing ball of intertwined intestines and toothy mouths, an anatomy that serves it well as the scavenger of the Abyss. 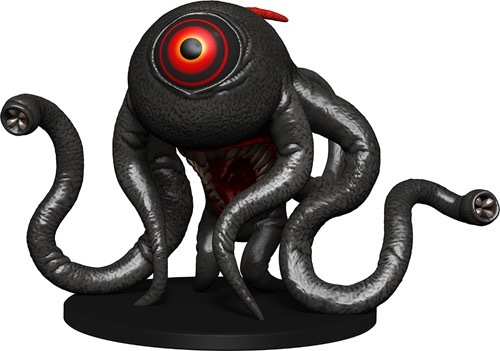 The ravenous qlippoth is a Medium uncommon figure. 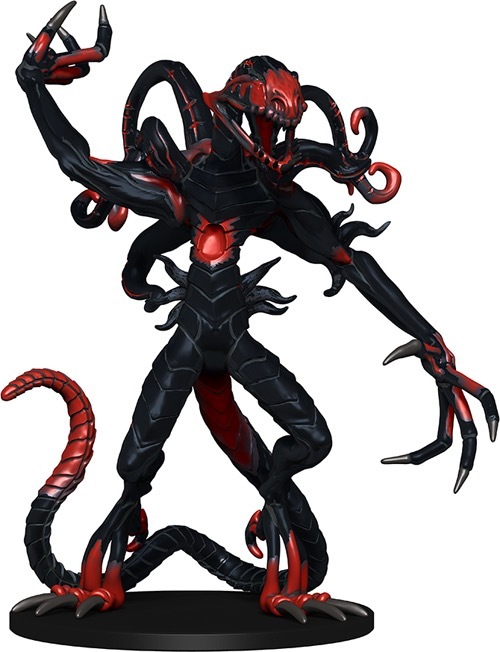 The slightly more powerful infectious qlippoth is a manifestation of the Abyss's fecundity, spreading pain and suffering throughout the multiverse. The monocular, tentacle-covered beasts are capable of travel to other planes, where they spread misfortune indiscriminately. The infectious qlippoth is a Large uncommon figure. 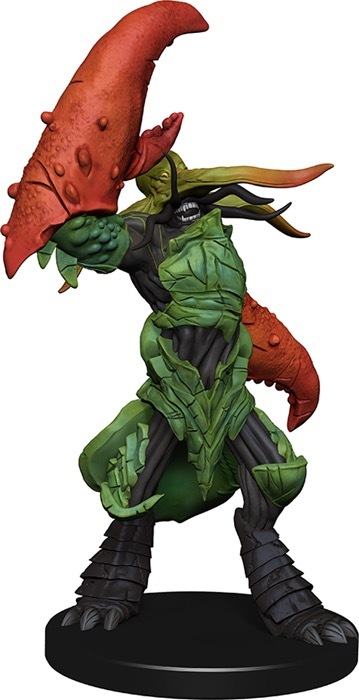 Finally, we come to the gongorinan qlippoth, the crablike spawn of the qlippoth lord, Yamasoth, who was himself closely associated with Alaznist, the final Runelord of Wrath. 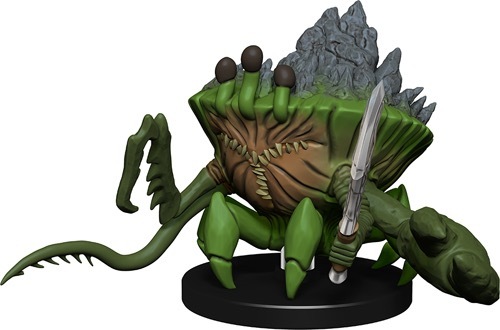 A medium rare figure, the gongorinan qlippoth (along with most of the other figures in this week's preview) is sure to serve Game Masters running the forthcoming Return of the Runelords Adventure Path well. That's all for now, folks! I hope you survived our glimpse into the Abyss (and Abaddon). Next week we'll return to the jungles of Golarion with a look at some of the mortal rivals your adventurers may encounter along their journey into despair. These look amazing! And they are all monsters I don't have. This et is shaping up into something great! Gasp! My darkest dreams for this set are coming true. Hopefully, there is still room for the Cythnigot and the Cacodaemon. More improved familiars = more improved set. We’ll look at SOME of the fiends... so more to come? Maybe a cythnigot? These are awesome. As a long time collector I’m so glad to see these coming. When a preview is this good it can be delayed I suppose. Sadly with several of these being rare I’m going to have to hunt down my first singles, the piscodaemon andgongorinan are certainly ones I want in multiple, especially the gongorinian. These renders look great. I hope their look transfers to the actual minis! Any chance we'll be getting a ekujae half-elf (wildborn) in this set? 10/10 pun title, and honestly the most significant part of this post for me was the disappointment that that's not a real name of an adventure being published, lol.